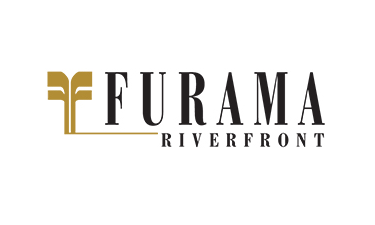 Subscribe to get deals from hundreds of merchants including the best of Kintamani Indonesian Restaurant, Furama Riverfront Singapore! Not valid on eve of PH, PH and blackout dates (11 & 12 May, 15 & 16 Jun, 5 Sep).. Offer is not valid in conjunction or exchangeable with other existing promotions, discounts, privileges, vouchers, membership privileges and VIP cards.. DBS General Promotion Terms & Conditions apply, visit www.dbs.com.sg/dbscardstnc.. Please always check with the merchant on the validity of the promotion before purchase. Not valid on eve of PH, PH and blackout dates (11 & 12 May, 15 & 16 Jun, 5 Sep). Offer is not valid in conjunction or exchangeable with other existing promotions, discounts, privileges, vouchers, membership privileges and VIP cards. Not valid on eve of PH, PH and blackout dates (11 & 12 May, 15 & 16 Jun, 5 Sep).. DBS General Promotion Terms & Conditions apply, visit www.dbs.com.sg/dbscardstnc.. Please always check with the merchant on the validity of the promotion before purchase. Valid till 30 September 2019, for dine-in only. Maybank TREATS General Terms and Conditions apply (PDF). Please always check with the merchant on the validity of the promotion before purchase. Valid till 30 September 2019, for dine-in only. Present your NRIC on your birthday month to enjoy complimentary cake (500g). Limited to one redemption only. Please call 6739 6463 to make a reservation and to inform hotel for the complimentary cake with a minimum of 3 working days’ notice.. Maybank TREATS General Terms and Conditions apply (PDF). Please always check with the merchant on the validity of the promotion before purchase. Please call 6739 6463 to make a reservation and to inform hotel for the complimentary cake with a minimum of 3 working days’ notice. Valid till 31 May 2019. PAssion Silver Card must be presented upon payment. Not valid with any other discounts, promotions, privileges or vouchers. Valid from Monday to Friday only. Not valid on Easter, Mother’s Day, Father’s Day, eve of and on Public Holidays. Limited to a maximum of 8 pax per PAssion Silver Card. The management reserves the right to amend the terms and conditions without prior notice. Please always check with the merchant on the validity of the promotion before purchase. Valid till 31 May 2019. PAssion Card must be presented upon payment. Not valid with any other discounts, promotions, privileges or vouchers. Valid from Monday to Friday only. Not valid on Easter, Mother’s Day, Father’s Day, eve of and on Public Holidays. Limited to a maximum of 8 pax per PAssion Card. The management reserves the right to amend the terms and conditions without prior notice. Please always check with the merchant on the validity of the promotion before purchase. Asian Masters participating restaurant.. Promotion is valid from 1 Mar 2019 to 29 Feb 2020.. Not valid with other discounts, promotions, privileges and/or offers.. Management reserves the right to alter any terms & conditions without prior notice.. To utilize the Offer, please present a Citi card before ordering and full payment must be made with a Citi card.. Offer is not valid on the eve and day of public holidays as well as festive occasions such as Mother's Day, Father's Day and Valentine's Day.. Promotion is valid from Mondays to Sundays for a-la-carte food items (except for the eve and day of public holidays as well as festive occasions).. . Please always check with the merchant on the validity of the promotion before purchase. Promotion is valid from 1 Mar 2019 to 29 Feb 2020. Not valid with other discounts, promotions, privileges and/or offers. Management reserves the right to alter any terms & conditions without prior notice. To utilize the Offer, please present a Citi card before ordering and full payment must be made with a Citi card. Offer is not valid on the eve and day of public holidays as well as festive occasions such as Mother's Day, Father's Day and Valentine's Day. Promotion is valid from Mondays to Sundays for a-la-carte food items (except for the eve and day of public holidays as well as festive occasions). This offer is brought to you in partnership with Sphere Exhibits Pte Ltd.. The Offers are valid for dine-in only, unless stated otherwise.. The Offers are not valid on eve of and Public Holidays, including special occasions determined by the Merchant, unless stated otherwise.. The Offers are not valid in conjunction with other promotions, privileges and vouchers.. Prior reservation is required and subject to availability.. Please quote "HSBC Dining Privileges" prior to ordering.. HSBC is not the supplier of and accepts no liability for the goods and services provided by the Merchant involved in this Programme.. In case of any dispute, the decision of HSBC and the Merchant shall be final.. Discount is not applicable on service charge and taxes.. Please always check with the merchant on the validity of the promotion before purchase. 1-for-1 buffet lunch and dinner. Valid on 2 – 27 (Lunch) Jan, 30 Jan till 3 Feb 2017. 1 dines free with every 3 paying adults for buffet lunch and dinner. Valid on eve, 1st & 2nd day of CNY, 27 (Dinner), 28 and 29 Jan 2017.